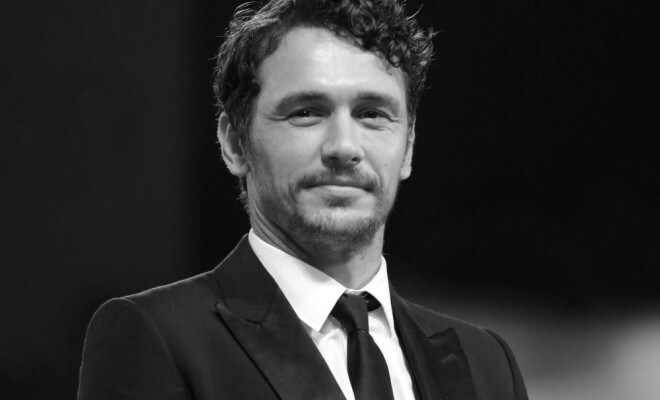 Dear James Franco: When’d You Get So Fun? It looks like I may have been a bit premature in making my Bromance Wish List. You should have definitely made the cut. F*ck it, you should have been Number One! Turns out you’re THE blueprint for fun-loving, devil-may-care dudes who are just misunderstood. Exactly how do you do it James? How do you make “selfie behavior” look ok—dare I say COOL? I guess the trick is not taking yourself too seriously. But you’d think with all the flack surrounding you lately that you killed someone (or at least ran over their cat). I mean, seriously: What are a few harmless selfies between a few million Instagram followers? You know the world’s gone topsy-turvy when you’re getting more negative comments than Oscar Pistorius! Hello? Sense of Humor?…You There? Social media used to be about sharing fun thoughts and funny pics. Now, it’s all about pontification and inspiration. If you even try to get smutty, you’re practically nailed to the cross by the morality police. Where did all the fun go? And whatever happened to boys being boys? James, if what you’re doing is “tasteless, narcissistic, and crude,” then guess what? You’re no different than the guys who have been flashing their six-packs in clubs for YEARS. I guess it’s different when it shows up on a News Feed (which reminds me: There’s an “Unfollow” button for a reason). I guess I missed the memo that said Instagram was only for sharing pics of your meals, and different duck-faces while waiting at red lights. AND WHILE I’M AT IT…how is a half-naked bathroom self-portrait that different from the scads of baby sonograms, or the 80+ versions of a bride’s wedding dress, being uploaded every second? Are those not the highest forms of narcissism? At least a nice body is more fun to look at! Most guys have. Considering what some girls look like these days, it was bound to happen. Case in point: Let’s get a side-by-side comparison of a 17-year-old from 1994, and a 17-year-old from last week. I rest my case. James, every guy group needs at least one person who’s chill, easy-going and looks like he just wants to have a good time–all the time. Keep doing what you’re doing. To everyone else, there’s nothing wrong with having a negative opinion about someone (I have whole posts devoted to it), but if you’re going to vilify a guy over a few exposed pubic hairs, then maybe YOU’RE the one with the issues. Let he who is without sin cast the first selfie! So, James, consider this my full-on attack on all of the naysayers out there, and the official kicking-off of a movement to bring fun back to social media, and to keep the political correctness (and ultrasound pics) OUT. I hope you’ll join the cause. Dear Rita Ora: Use Me, Abuse Me! Dear Channing Tatum: Please Keep Drinking!